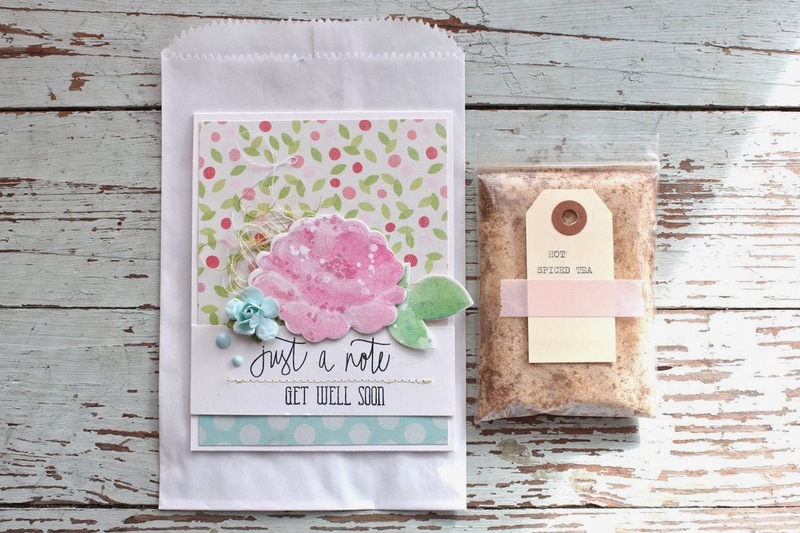 Today I'm sharing some get well cards that I needed for my stash. 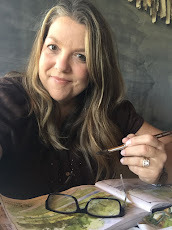 I want to share a few thoughts about pulling together inspiration for a project by selecting items from your built up supply of crafty goodies. A lot of times I say that "I shop my stash" and it's so true. Digging back through your collection of supplies is almost as fun as shopping for new items. Let me walk you through how I shopped my stash for this set of cards. First, I knew I wanted some get well cards. 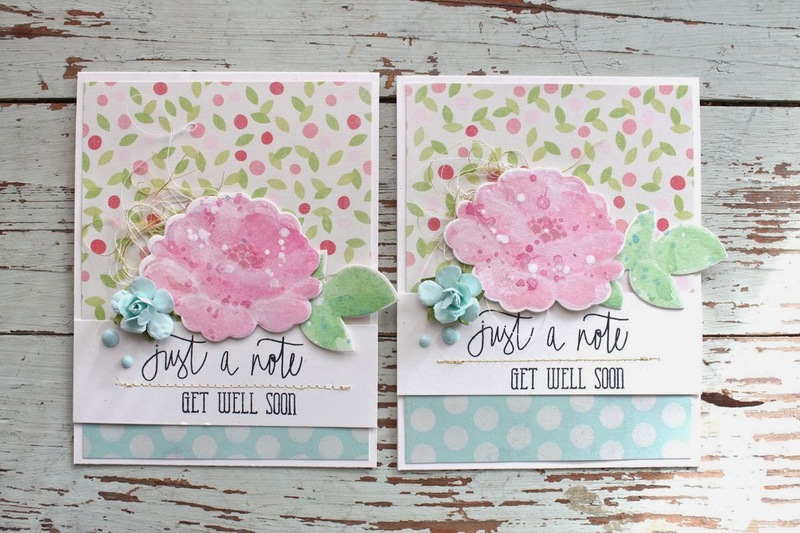 I knew that this pretty set from Avery Elle called Petals and Stems had a new get well sentiment that I hadn't yet stamped. So I set out that stamp on my work table. 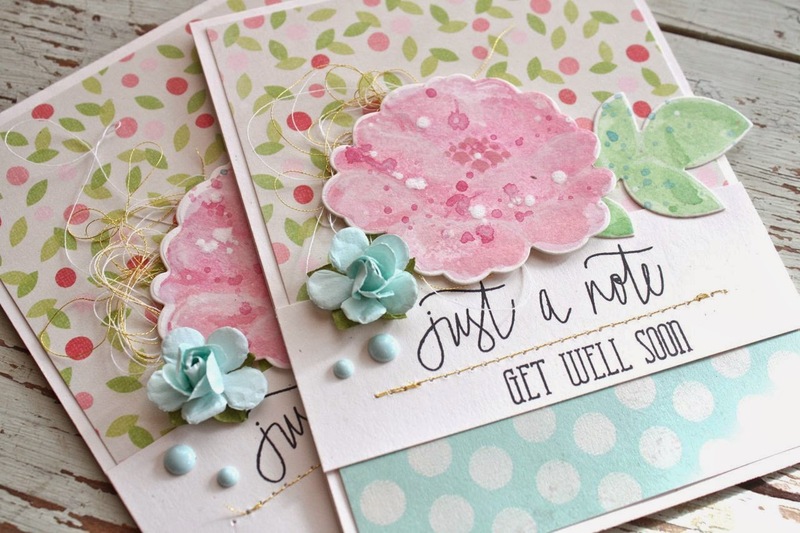 I thought the flowers and coordinating Die: Petals & Stems Elle-ments dies would be fitting for get well cards too so now the entire stamp set would be put to use + some coordinating dies. I often like to pair up stamp sentiments from different stamp sets. 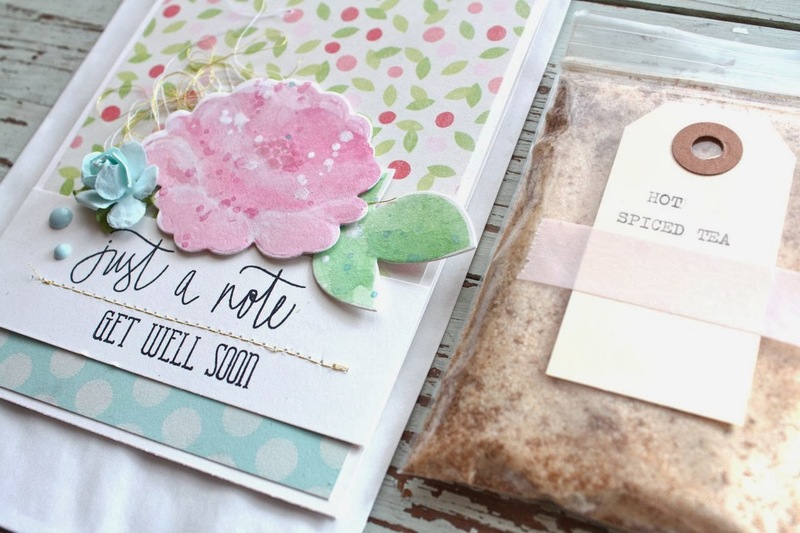 The "just a note" sentiment has a beautiful script look to it and is a little bit bigger than the "get well" sentiment. That stamp is from a Studio Calico stamp set but I can't find the name of it or a link to a photo of the set anywhere. I'm pretty sure it's sold out....but it's the set with the eye glasses and library books. Next up from my stash I wanted to select some patterned paper so I could select a color scheme for my card. The floral paper and the aqua polka dot paper are both from the Gossamer Blue February Bits & Pieces Kit. I often like to go mixy matchy with my patterned papers and these two just looked so pretty together. From that point I was ready to create my cards. I used watercolors and gouache paints from my art cart to create the muted, die cut flowers. Next, I added finishing details to my cards like the gold stitching between the sentiments, the two enamel dots, the dimensional flower and the messy nest of string that I collected from my sewing machine area. I ended up creating a little gift item for an older friend/former teacher. She had just had surgery and Eric always picks her up for their school board meetings since she doesn't drive well at night. I wrote a nice message inside the card, packaged up some of my spiced hot tea mix & added a quick typed tag with Washi tape, then inserted them both into a white paper sack. Tags and sacks are always, always items that I keep in my stash. You can find lots of varieties in my shop at all times. I must add that our friend just loved the gesture of a card and a little gift. It feels SO good to give from the heart, especially when it's handmade and homemade goodies. 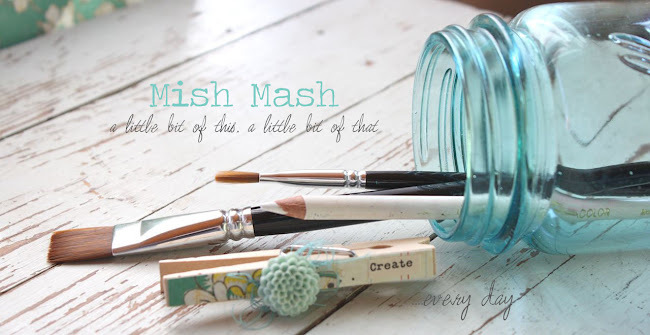 I hope you're inspired to shop your stash...get mixy matchy with your crafty supplies...and create something special for someone. Valentine's Day is coming up with week. For inspiration, check out my February Pinterest Inspiration Board. Loving your get well cards! I have this stamp set and have struggled a bit with that large bold flower image. I love the dimension you gave it with the ink spatters and color variation! Thanks for the inspiration as always! I just love this! Such a cute card and perfect pairing with the drink mix. And that extra string behind the flower adds so much. Thanks for the great inspiration. So, so beautiful Mish. I just LOVE these.